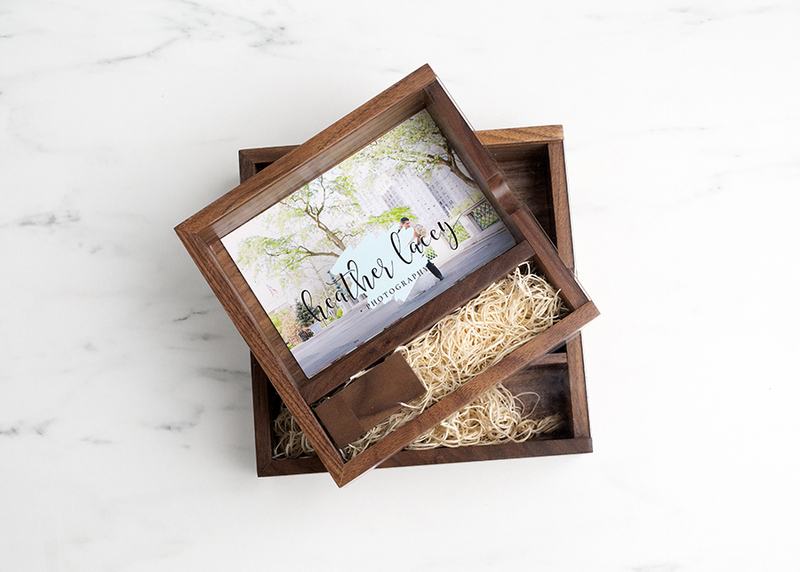 Timeless and sophisticated the Walnut Flash and Print Box is a memorable way to deliver clients’ digital and print images in one convenient package. These flash and print box are made from beautifully finished walnut wood, with a fully removable sliding lid. For an exclusive look, the lid can branded with laser engraving or full color printing at no additional cost. Customers who purchased a Tyndell Flash and Print Boxes - Walnut with Clear Acrylic Top also purchased these items. Rate our Flash and Print Boxes - Walnut with Clear Acrylic Top.